This project was created in partnership with True Value. All opinions are my own. 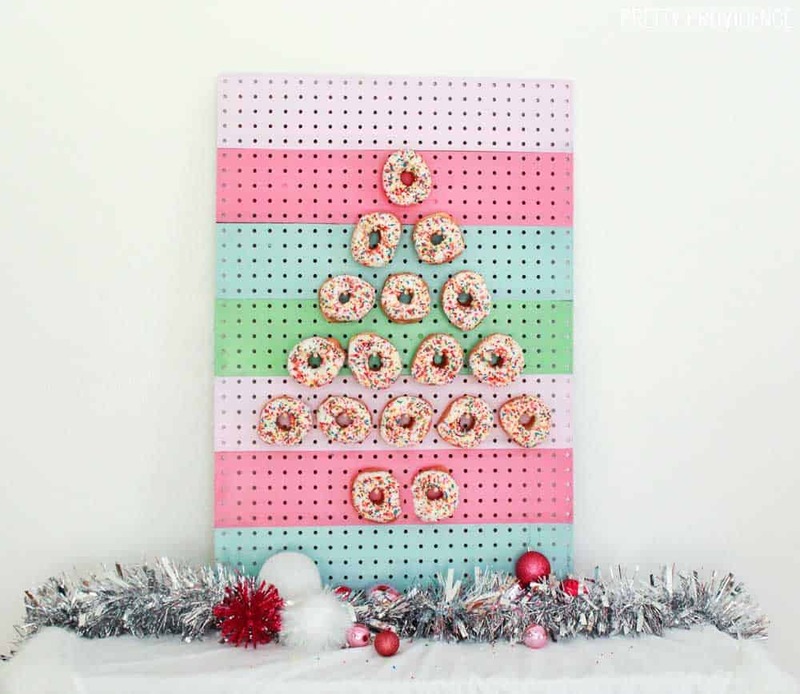 Have you seen the thing where people hang donuts on a pegboard? I think you need to try it. Okay, this may not have been one of your life goals – but it should totally be one of your party goals! I’ve been doing a lot of brainstorming for holiday party ideas, as one does this time of year. 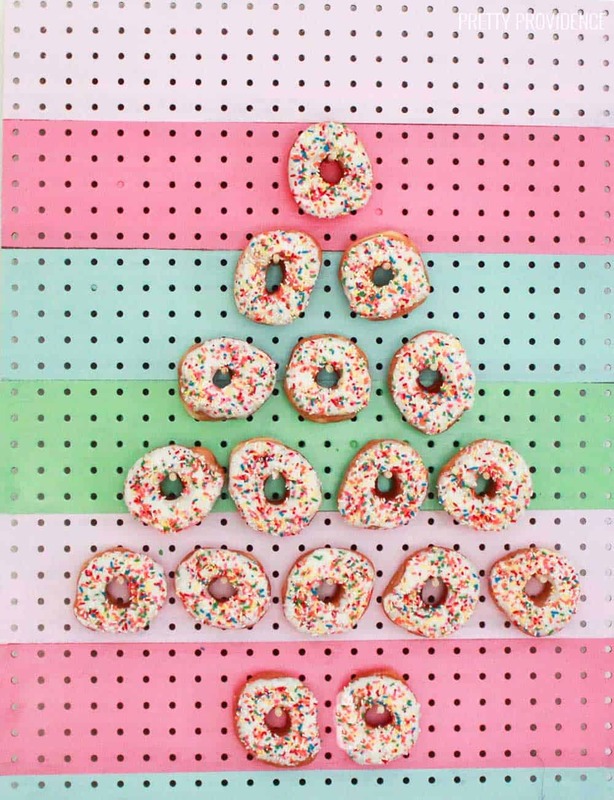 So, when True Value sent me a box of items and challenged me to come up with a really out-of-the-box project using the items they sent, I thought putting a bunch of donuts on display would be super fun! Pegboard is a great way to do it since you pretty much just have to decorate it and hang dowels on it. True Value sent me a hand saw, a paint tray set, and sandpaper. Then I went to my local store to buy dowels, pegboard and paint! Have you ever been to a True Value store? I really liked the mom and pop feel that my store has. I chose five different colors of EasyCare paint to use for this, and they mixed it up for me. I could not wait to get home and get painting. It’s me, so obviously there had to be stripes involved! Prepare your pegboard. This may mean cutting it to preferred size. I had my husband cut mine with an electric saw. Tape stripes onto pegboard where you want your stripes to end. Saw your dowels do desired length. I made mine 4.5″. You can use a hand saw or a miter saw to do this! Sand dowels so that there are no slivers poking out of them! 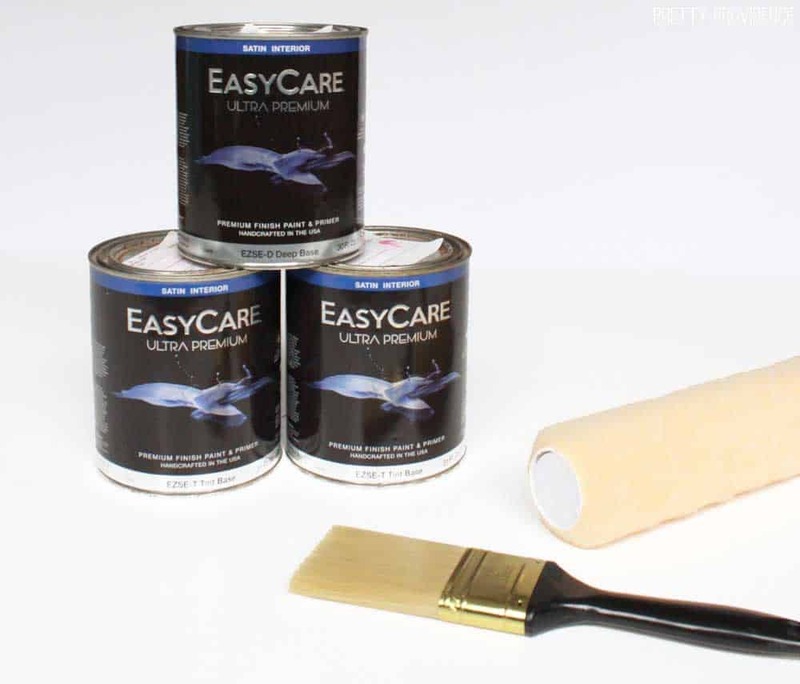 I loved using the EasyCare paint for this project. First of all – it’s really easy to clean! 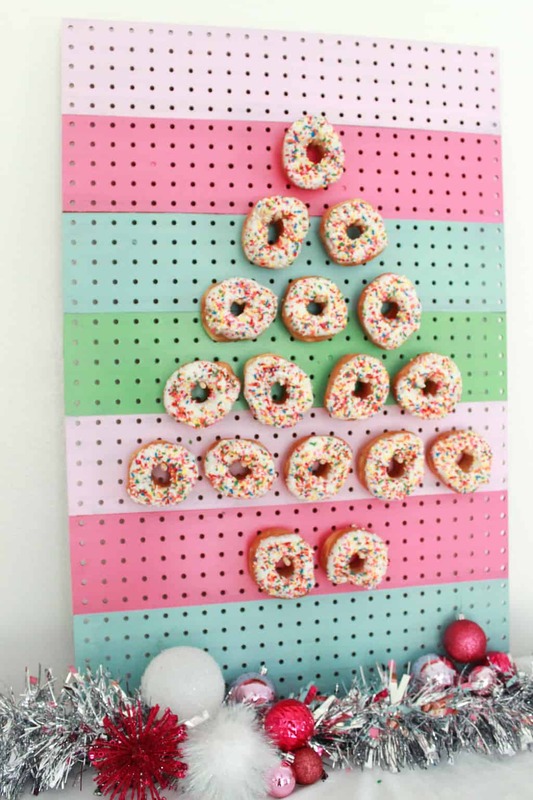 This is obviously important for a donut covered pegboard. The other thing I love about it is that every color, every finish and every gallon comes with a lifetime warranty. That means you can count on EasyCare paints to keep their beautiful finish. 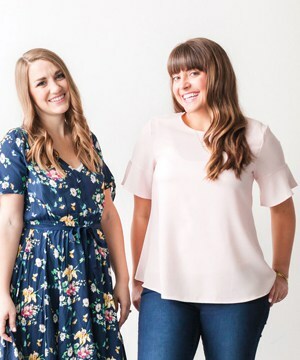 If you are hosting a holiday party I highly recommend doing this! Your guests will love it! 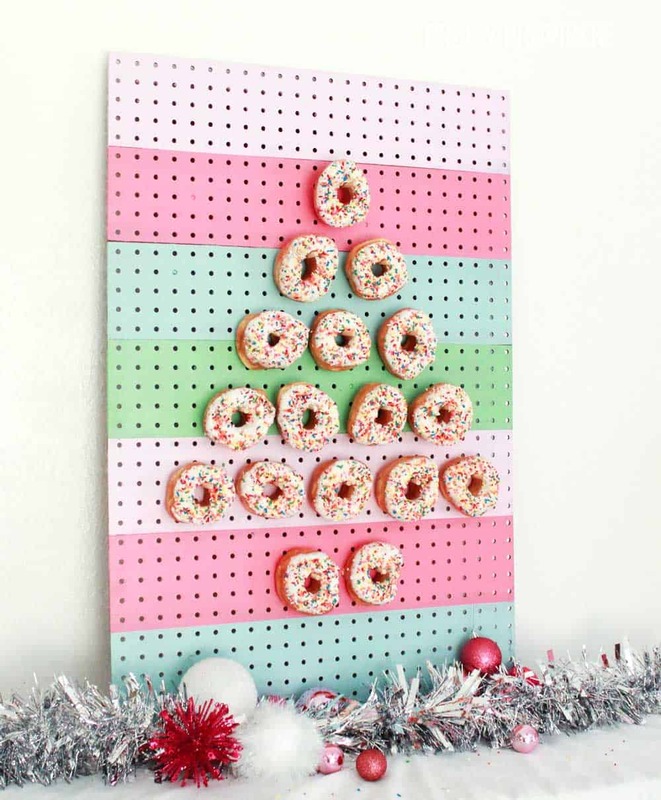 As a bonus, you can use the pegboard for other kinds of parties all through the year. Hi ~ Love this idea! How big is your actual board?